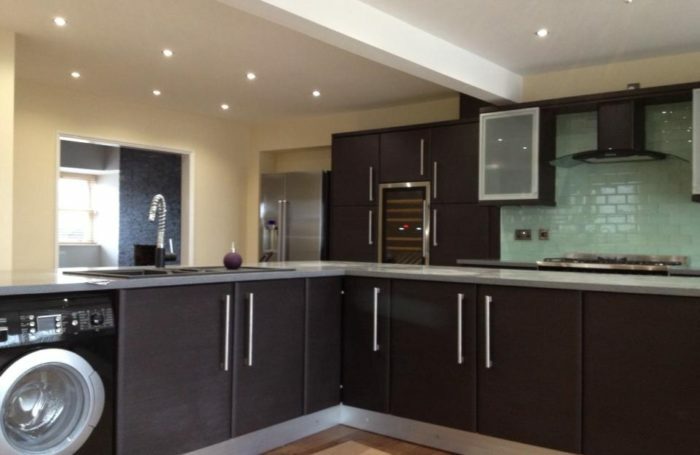 The lime green Metro beveled edge tiles work extremely well when combined with the grey furniture. Large handles were added to assist in swift door openings during intense cooking periods. A solid steel ceiling beam was also added as per building control requirements during the new kitchen renovation phase. 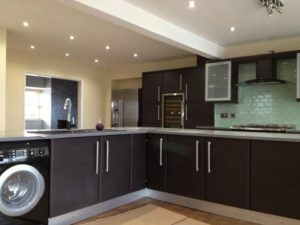 Added features such as pull out carousel and granite worktops enhanced the overall look and functionality whilst adding to the value of this particular home.